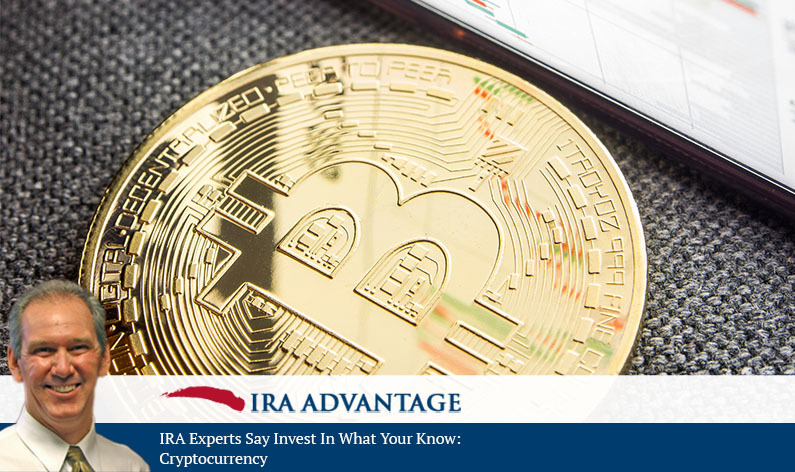 Indeed IRA experts do say that there are advantages to investing in what you know. In this, the second part of David Moore’s Invest In What You Know Series, he discusses investment in cryptocurrency. Today we’re talking with David Moore, a cofounder of IRA Advantage, a firm that specializes in truly self-directed retirement accounts. David, IRA experts like you are saying you can invest in cryptocurrencies. How? David Moore: Well, it’s just like any other investment. You’ve just gotta find a source for that investment and make it. The thing that’s interesting about cryptocurrency like Bitcoin, Theorem, or Litecoin is that you’re dealing with exchange rates in effect, or if you use it to buy something, you’re actually converting the asset, too. You can realize a tax consequence without realizing that you’re realizing a tax consequence, which is pretty entertaining. It’s sort of like buying a foreign currency and working the exchange rates, so you’ve got to be aware of that. David, are there any cautions you’d give investors about cryptocurrencies? David Moore: Well, I’d say it’s just like anything else, you want to make sure that you’re dealing with people that understand it. It’s a very turbulent market, I guess. It’s growing very rapidly, and anything that’s going to fluctuate in value up and down, it’s always timing and you’ve just got to be aware of what’s going on out there. That whole world, the cryptocurrency world, is certainly growing. If you look at numbers back from last year, it roughly quadrupled in size in a matter of months. It’s something that is growing very, very quickly, but anything that’s got that much energy, you’re going to have good players and bad, so you’ve got to make sure that you’re working with people that understand it and they are going to put your best interest at heart. Thank you, David. Listeners may call 503-619-0223, or can visit IRA Advantage for more information. While it’s a good idea, according to IRA experts, to invest your funds in something you know, that doesn’t mean you don’t need expert help to structure your investments to meet your own personal financial goals. The entire team at IRA Advantage is focused on helping their clients navigate the sometimes complex waters of IRAs. Give them a call today to get started!